Toshiba has announced a new cloud service to help IT admins manage end-point devices. The Toshiba Cloud Client Manager works through a standard web browser on a variety of operating systems. It lets admins oversee and control devices online in real time, without the need for servers with dedicated management software. The service supports multiple devices, from PCs and laptops to smartphones and tablets. The Cloud Client Manager automates the administration and support systems. It also offers options for patch management, power management and hard drive health monitoring. The patch management feature lets Toshiba take care of figuring out which software patches are needed for each device and operating system employed by a company. The power management feature monitors power consumption on an hourly, two hourly or daily basis. Power settings can be altered across the board or admins can restrict users from changing power settings for a more optimal use of energy. "Today's mobile workforce demands that IT professionals are more agile and resourceful than ever," said Patrick Mani, VP of sales at the Digital Products Division of Toshiba. 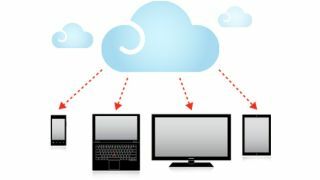 "Toshiba Cloud Client Manager delivers smart, secure and reliable enterprise-level technology all through the cloud, using a standard web browser, ensuring that IT administrators can keep their business on the leading edge, without investing in extra servers and software." Toshiba plans to add additional modules in the future, including IT asset management, software management, and a mobile device manager.